King County recently issued a news release about a land acquisition in the Snoqualmie Valley made by its newly launched Land Conservation Initiative. It will preserve 80 acres of land near North Bend from development. The new property acquisition along I-90 represents a positive achievement for the King County Land Conservation Initiative (LCI). Officially launched earlier this year in the face of tremendous population growth, the LCI aims to accelerate open space investment to protect 65,000 acres of the remaining high conservation-value lands in King County before they are lost to development or become too expensive. The latest example of the LCI’s role in preserving open space for its recreation and habitat benefits is an 80-acre privately-owned parcel located within the boundaries of more than 1,800 acres of public lands near North Bend and south of Interstate 90. The land was purchased over a two-year period by King County and the Washington State Department of Natural Resources (DNR). In 2017 King County purchased a portion of this private ownership with funding from the Transfer of Development Rights program and the Conservation Futures Tax. This fall, DNR purchased the remaining portion of that private ownership with the grant funding from Forterra, completing the conservation acquisition. Located within the Rattlesnake Mountain Scenic Area, the acquisition was funded using grant money from the U.S. Fish and Wildlife Service as well as Conservation Futures and King County Parks Levy funds. 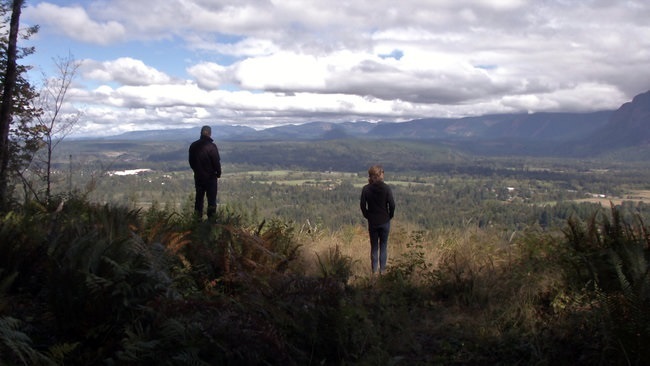 It is the latest in a coordinated effort by DNR and King County, as well as Forterra, Trust for Public Land, and the Mountains to Sound Greenway Trust, to conserve the scenic and ecological character of Rattlesnake Mountain. In 1993, King County and DNR were assisted by the Trust for Public Land in acquiring the first large parcel of property that became the heart of the Rattlesnake Mountain Scenic Area. Over the past quarter century, this partnership has purchased more than 250 acres for conservation surrounding the scenic area, creating public access opportunities and protecting important wildlife habitat and scenic views. Bringing this last privately owned inholding property into public ownership fills an important gap in a landscape of protected lands between the Raging River State Forest, Cedar River Watershed, Rattlesnake Mountain Scenic Area, Meadowbrook Open Space and Three Forks Natural Area. With this acquisition, the partners now have an opportunity to plan and construct a hiking trail that would connect the City of North Bend to recreation opportunities at Rattlesnake Mountain Scenic Area and the adjacent Raging River State Forest, where DNR is planning a large-scale trail system for mountain biking and hiking. Co-owned and managed by DNR and King County Parks, the Rattlesnake Mountain Scenic Area has more than 13 miles of hiking trails that give hikers access to the popular Rattlesnake Ledge viewpoint overlooking the upper Snoqualmie Valley, the Cedar River Watershed and the Cascade Range.